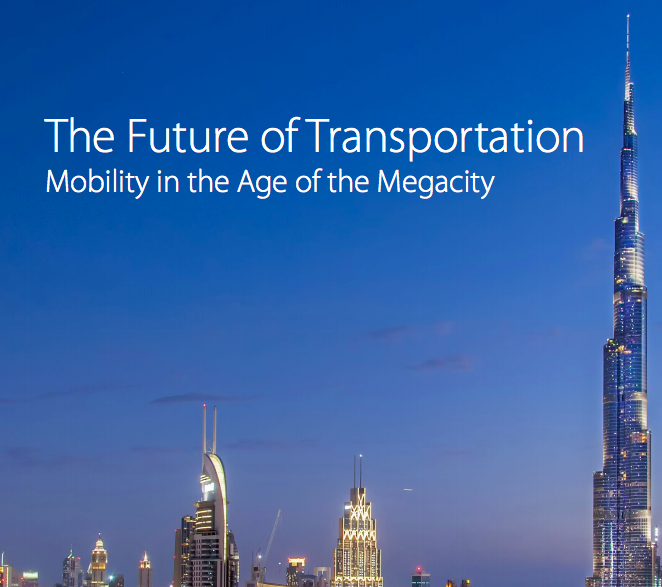 Today, Visa (NYSE:V), in collaboration with Stanford University, launched one of the largest global studies examining the growing demand for public and private transportation, and the important role digital commerce plays in driving sustainable growth. According to the UN1, by 2050, 68 percent of the world’s population will live in urban centres – and the number of “megacities” with populations greater than 10 million people will rise from 43 today to 51 within that same period. Building on Visa’s experience working with transit operators, automotive companies and technology start-ups, Visa commissioned a global study, “The Future of Transportation: Mobility in the Age of the Megacity” to better understand the challenges commuters face today and in the future. The key findings were combined with a view of existing and near horizon innovations provided by experts at Stanford University, to better understand the technology gaps in addressing their painpoints. Payments lie at the heart of every form of travel, and will continue to become more integral as more cities move to contactless public transportation, digital payments for parking and rental services such as bikes or scooters. One third of those surveyed (37 percent) expect that their commuting time will increase over the next five years. That number rises to 54 percent for personal travel such as entertainment. Complexity in payment is often at the root of many common complaints. If it was easier to pay for public transport, average use would increase by 27 percent. Create a seamless payment experience to support commuter journeys with multiple “legs”. City governments and urban planners need to collaborate with think tanks, automotive and technology firms, and payments providers such as Visa. As a single journey will increasingly involve more than one mode transport (e.g., car+underground+bike) – it becomes imperative to create a simple, streamlined payment experience for the commuter, ranging from contactless transit to in-app payments or platform-based solutions. Design commerce systems with all members of society in mind When designing the commerce ecosystem, all members of the transportation ecosystem need to challenge their thinking to include seniors and the un- or underbanked, ensuring no one is left behind. Visa commissioned the Future of Transportation consumer research with Sapio Research. The survey was conducted with 19,384 consumers living in either of the two biggest cities in 19 countries. All interviews were conducted online during July 2018. Visa Inc. (NYSE:V) is the world’s leader in digital payments. Our mission is to connect the world through the most innovative, reliable and secure payment network - enabling individuals, businesses and economies to thrive. Our advanced global processing network, VisaNet, provides secure and reliable payments around the world, and is capable of handling more than 65,000 transaction messages a second. The company’s relentless focus on innovation is a catalyst for the rapid growth of connected commerce on any device. As the world moves from analog to digital, Visa is applying our brand, products, people, network and scale to reshape the future of commerce. For more information, visit: https://vision.visaeurope.com/ and follow us at @VisaNewsEurope.